A group of scientists from Russia, US, Canada and Germany has developed a simple and effective web service called GAM (Genes And Metabolites) to help researchers study complex biological processes in cells. The program identifies links between changes in metabolism and genes, enabling a better understanding of how, for example, cancer or immune system cells work. Metabolic regulation plays a major role in these biological objects. New insights gained by means of the service can be applied to develop treatments for autoimmune diseases and cancer. The study was published in the Nucleic Acids Research. Maxim Artyomov, assistant professor at Washington University in St. Louis, supervised the project: "Our service is a helping hand to many biologists and immunologists who investigate the effects of metabolism on clinical changes. In previous studies, we confirmed experimentally how well our algorithm performs. A large number of research groups turned to us for the help and Alexey Sergushichev from ITMO University in Saint Petersburg, Russia has created a web service, so that scientists from all over the world have easy access to this method. Until now there were no simple, effective and free software products that can simultaneously analyze genes and metabolites (simple low-molecular substances involved in biological processes). There are no good models for biological processes in mammal cells due to extreme number of interrelated reactions – about 1,500 – that occur in one cell in a moment. Therefore, the solution developed by the group, which included researcher from Computer technologies department at ITMO University Alexey Sergushichev, can already assist biologists and pharmacologists in their work. For instance, the web service can be useful to study processes that occur within cancer cells. Using the service one can analyze an entire map of metabolic pathways in such cells and reveal mechanisms of tumor growth. Fighting cancer without this basic knowledge is problematic. In a previous study, the scientists used this algorithm and showed that inhibition of certain metabolic processes in cancer cells delays the tumor growth. Now everyone can use the program. The service is already being deployed in dozens of biological laboratories and pharmaceutical companies. Because metabolism plays an important role in the workings of the immune system, GAM can also find application in the investigation of autoimmune pathologies where in most cases the immune systems rather has to be deactivated as it starts to attack healthy tissues. The majority of these diseases is chronic and result in serious malfunctions in the organism. Besides metabolism, the balance of the immune system is significantly influenced by the activity (expression) of genes. "Metabolic pathways incorporate enzymes that catalyze chemical reactions. These enzymes are encoded by specific genes. Using our web service, one can analyze changes not only in metabolite concentrations but also in gene expression. Thus, we can understand the mechanisms of cellular processes and to identify key reactions in the course of various autoimmune diseases. In the future, it will aid the development of immune system regulators, for example, immune suppressors for the effective treatment of such pathologies as diabetes mellitus type I or chronic hepatitis B, which are caused by the immune system disorders," says Alexey Sergushichev. The program compares the original data on metabolite concentrations and gene expression with KEGG database where biological processes are described in a standard state. 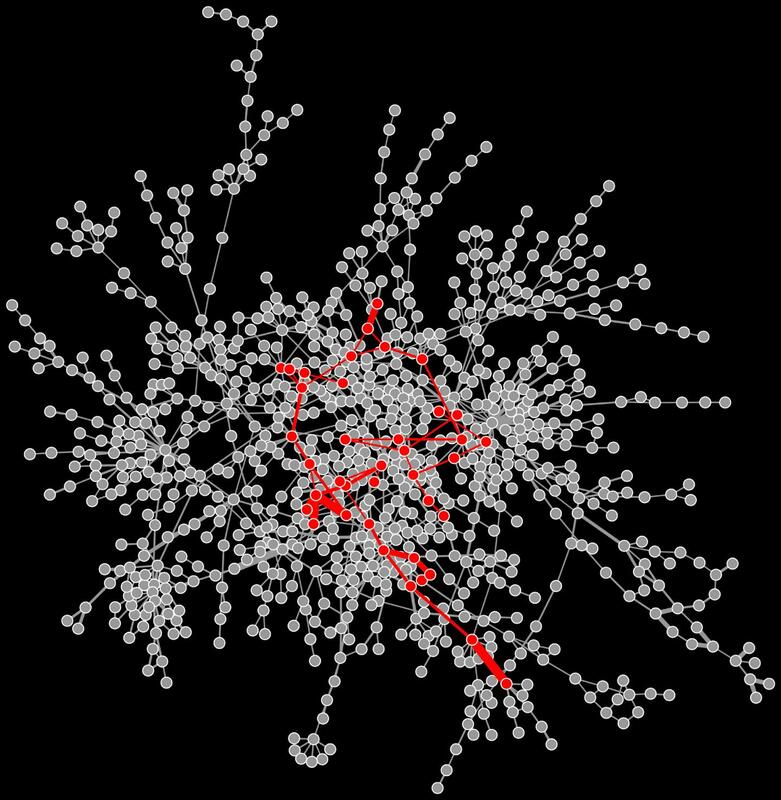 Then a network is built where nodes represent the substances that were changed significantly, and edges are the pathways of their transformation in the course of chemical reactions. For each node the program defines weight – an indicator of a metabolite significance in the overall process; the indicator depends on deviation of the concentration from the norm. Thus, cell processes can be identified through analysis of two states: reference (normal) state and the one under influence of an external factor. For example, previously, scientists have observed how macrophages (immune system cells) activate and restructure when a pathogen appears. The web service is free, user-friendly, efficient and requires no installation. Researchers can use it without getting access to special software and KEGG database. On the one side, the method is well-suited for non-targeted analysis of reaction network when scientists do not know which patterns they are looking for. On the other side, it helps to detect signal substances from which the immune system receives information about changes in metabolism, and to study their role in intracellular processes. Simultaneous analysis of gene expression and metabolite concentration narrows the search area and makes a complex network of reactions intuitive and readable for researchers.